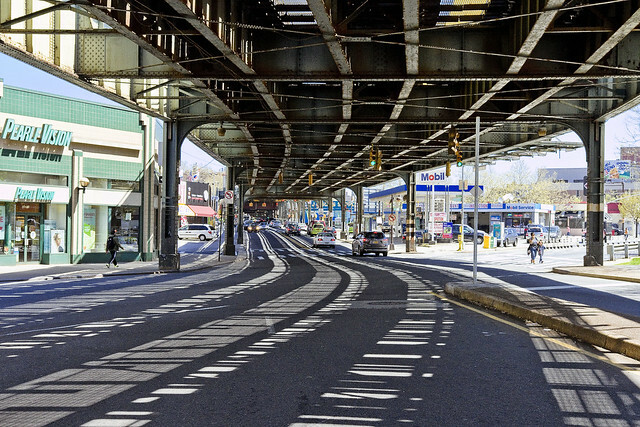 A few random shots from around Queens, in today’s post. 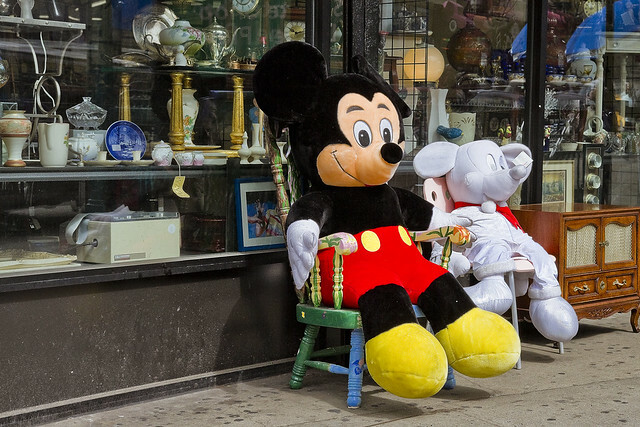 Over on Steinway Street, here in almond eyed Astoria, these iconic representations of the Disney corporation seemed to just be chilling out in front of the Salvation Army thrift store the other day. Not sure what the story is with the ghostly one on the right, maybe it’s the “Mickey of Christmas Past” or some other Dickensian (Mickensian, perhaps) meme. 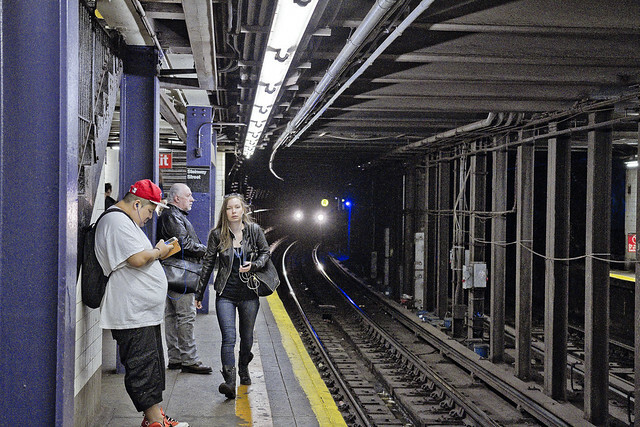 I was heading into the City one day last week, performing my usual exercises with exposure and camera settings while waiting on the Subway platform when I got this shot. Don’t know why, by I just kind of like it. I do wonder what the fellow on the left was listening to on those headphones. The angle between Woodside and Sunnyside, as well as the convergence of Greenpoint and Roosevelt Avenues with Queens Blvd., there’s something about this paritcular intersection that one such as myself finds visually interesting. A point is made to pop off a few exposures whenever I’m passing by, which in this case was on my way to visit Second Calvary over in Woodside.